Fine Art America has added throw pillows to their list of awesome products! Check out all of my work here! They are totally customizable – you can move and place the images wherever you like on the pillow. New Design – Electric Jellyfish! This hand drawn and inked jellyfish matches the Electric Octopus I did earlier this year. There are tons of products featuring the design on Zazzle, and Fine Art America has great prints, canvas and cards. Stop by and check it out by clicking on the images and links below. colors can be changed. Check out the examples and links below. New this week! 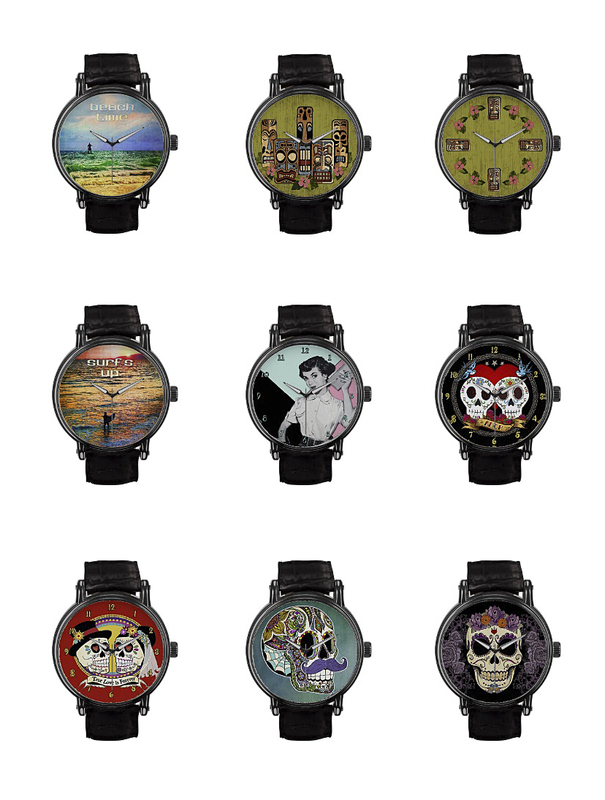 Customizable watches from Zazzle. They come in 8 different styles ranging from sporty to classic and vintage. You can even customize them with glitter straps, or add text to personalize them! I’ll be adding more designs in the coming weeks, but feel free to email me with any questions or custom work. The Vintage eWatchFactory Watch is a big-faced timepiece that will never go out of style. Featuring a three-hand quartz movement and genuine leather strap, this watch’s classic look is great for formal or fun occasions. Customize the face with your name and designs to make a watch perfectly matched to your personality and style. Customize with your photos, artwork, and text. Black leather strap with buckle closure. Do a store search for the design you like. 12 original Dia de los Muertos sugar skulls……Get ’em while they’re hot! Lots of news this week! 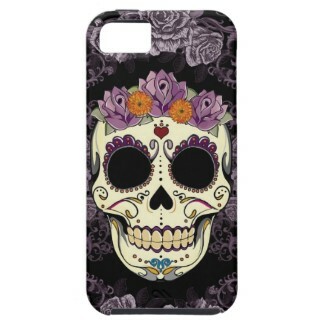 First, I got a Today’s Best Award on Zazzle for my Vintage Skull and Roses iPhone 5 Case. iPad sleeves and even an octopus tie! Check them out in my store-just click on “Electric Octopus” in the left column. there are also invitations, teapots, tees, belt buckles, phone cases, tote bags, clocks and throw pillows. 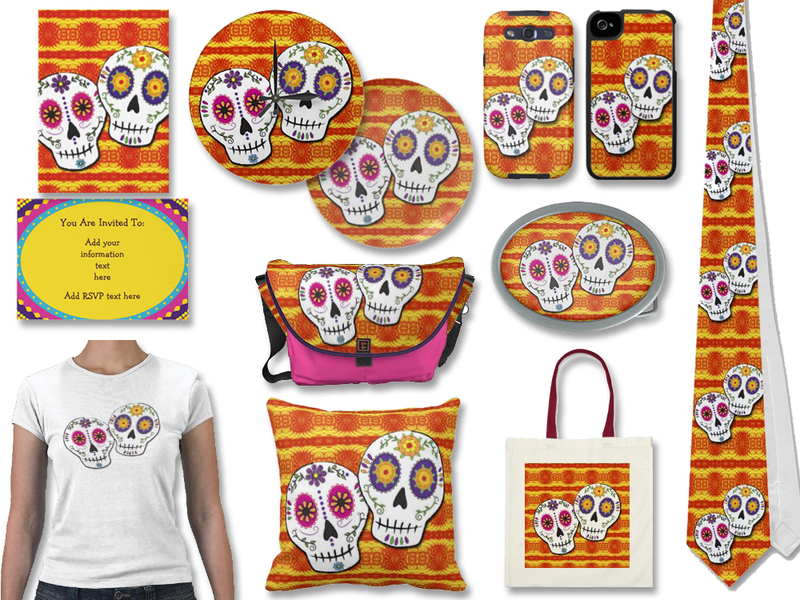 Just click on my store link below, and then “Sunshine Sugar Skulls” on the left column.